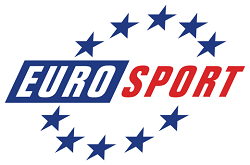 Sports TV Channel / Eurosport is a pan-European television sports network, owned and operated by Discovery Communications. Discovery took a 20% minority interest share in December 2012, and became the majority shareholder in the Eurosport venture with TF1 in January 2014, taking a 51% share of the company. On 22 July 2015 Discovery agreed to acquire TF1's remaining 49% stake in the venture.